This article was reprinted with permission from cornerstone-ct.com . I have been a manager of state programs for over 20 years and have held countless interviews for jobs at all levels. I’ve watched some talented people miss the mark by making some basic mistakes. Here are four of the most common job interview mistakes and how you can avoid making them. Don’t make the mistake of assuming it will be a one-on-one interview. There may be more people than you expect in the room. The days of interviewing with just one person are over. 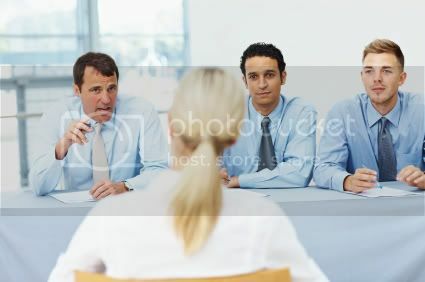 Even for entry level positions, I often have an interview group that include one person from each work group, human resource reps, stakeholders and/or other partners. Or, I have shorter interviews with a variety of groups. Be ready for anything. Don’t forget to research what organization you are applying for – and remember the full name (not just the acronym). I am always amazed when candidates don’t appear to have done their homework and are not prepared for basic questions about the organization and position they are applying for. I once asked a candidate what he knew about our program and he pulled out a brochure and read it to me! Find out as much as you can about the organization and the position.